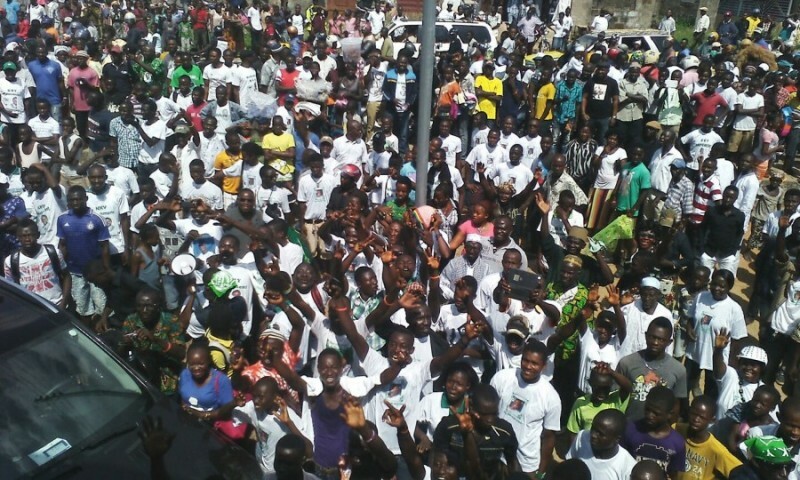 The people of Bo in the southern province of Sierra Leone and political heartland of the country’s main opposition Sierra Leone People’s party (SLPP), came out in their thousands yesterday, Friday, to welcome presidential aspirant – Kandeh Yumkella. Until yesterday, the head of the Sierra Leone police in the country had refused to provide security for Yumkella’s planned visit to the district, a decision many in the SLPP describe as ruling party political interference by powers from above at State House. Yumkella’s visit to Bo this weekend comes amid tension in the party, with accusations of intimidation levied against former military leader and 2012 presidential candidate of the party – retired Brigadier Maada Bio. Just ten days ago, the party spectacularly lost a whole swathe of bye-elections in the Capital Freetown and the southern province, as the party continues to be seriously divided into two camps – the majority of party members supporting the elected national executive council led by chairman Somano Kapen (Photo) and Secretary General Banja Tejan-Sie; and those accused of wanting to impose the will of retired Brigadier Bio on the party. But amid the continuous accusations of intimidation and violence instigated by Julius Maada Bio and his followers, there is a more serious indictment of the former Brigadier’s political ambition to become president of Sierra Leone. Bio stands accused of holding the SLPP party hostage, and using his supporters to occupy the party’s headquarters in Freetown, thus preventing party executives and others from entering the building. 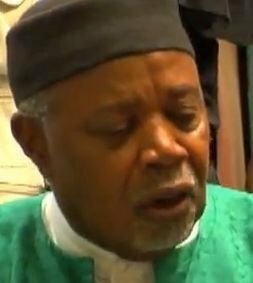 And as Dr. Yumkella – presidential flag-bearer aspirant for the SLPP arrived in Bo town yesterday, it is understood that the Regional Chairman South – Mr. Edward Soloku, warned the Party’s District Executive not to allow Yumkella to enter the Bo party office either. This is regarded by many in the party as an affront and gross violation of Yumkella’s right, both as a party member and a grand patron. Mr. Soloku has unilaterally declared Yumkella a non-registered member of the party. In response, the National Chairman and Leader of the SLPP – Chief Somano Kapen is believed to have informed the Assistant Inspector General of Police in the district that Yumkella is indeed a registered member and that he has the right to visit and enter the party office. However, the police said they would not be drawn into party political affairs. The doors of the party office remained shut and Yumkella was once again denied access to his party’s office. 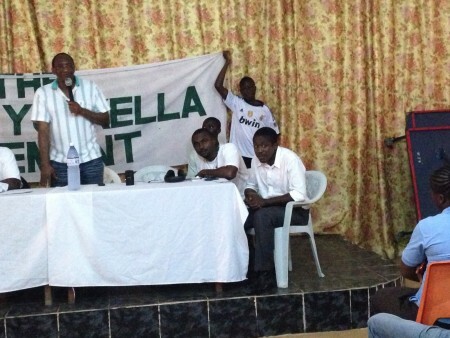 But this afternoon, Saturday 28th November, Yumkella addressed a large group of party members at the Bo tennis Club. “My fellow Sierra Leoneans, the choices we will make in the next years will determine the fate of our country (your fate), for the next two decades. We can be as poor as the Niger Delta, or we can be as wealthy as Dubai. I believe that the best way to predict the future is to create the future,” Yumkella told his audience. 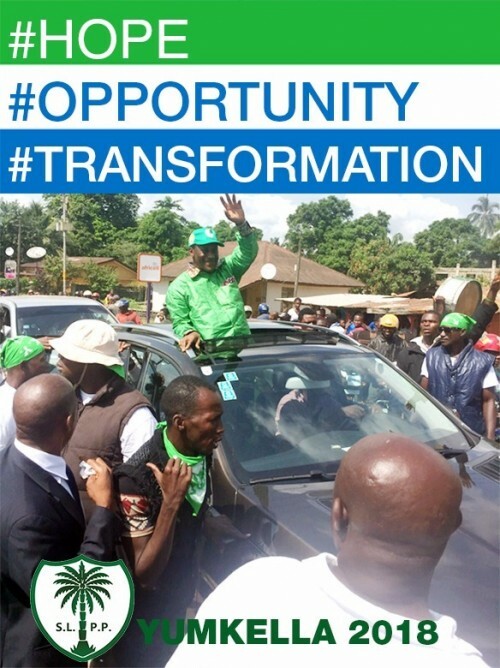 “The KKY Movement was officially launched in that same Bo Tennis Club on the 1st of August 2013, two weeks before the infamous SLPP convention in Bo, which resulted in creating the current political impasse within the party. “I remember also that those were the times when, in terms of SLPP politics, people would not dare mention any other name in Bo or even the entire South-eastern region except Bio’s name. “But on that day, the 1st of August in that very Bo Tennis Club, brave young men and women in Bo and from surrounding towns, championed by Mr Felix James, a strong KKY believer and supporter even today, ventured to violate and kill the Maada Bio embargo. But Dr. Kandeh Yumkella is no stranger to the city of Bo, where he went to school as a young man and fell in love with a daughter of one of the city’s most famous families – the Nicholas family. (Photo: Yumkella arriving in Bo city yesterday Friday). And Dr. Blango – chairman of the KKY Movement in the UK and former mayor of the London Borough of Southwark remembers all too well: “As KKY storms the great City of the South, Bo City, it brings back good memories of the late former Mayor of that great city – Mrs Nancy Nicholas. 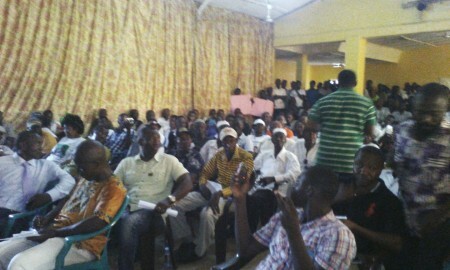 “The late former Mayor, who is the mother-in-law of Kandeh Yumkella, was one of the pioneers of the building of local government structures in Bo after the ruling APC party’s 27 years of complete centralised system of governance, backed by ten years of rebel war, which combined, disintegrated our country’s socioeconomic and political fabric. 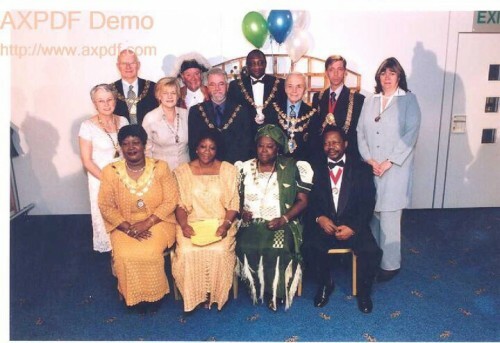 “This photo shows the late Mayor Nicholas (Photo: Front row – second from right, and Mayor Blango in the middle at the back), with other great Mayors of some of the famous Boroughs in London, during her official visit to the London Borough of Southwark in December, 2005. 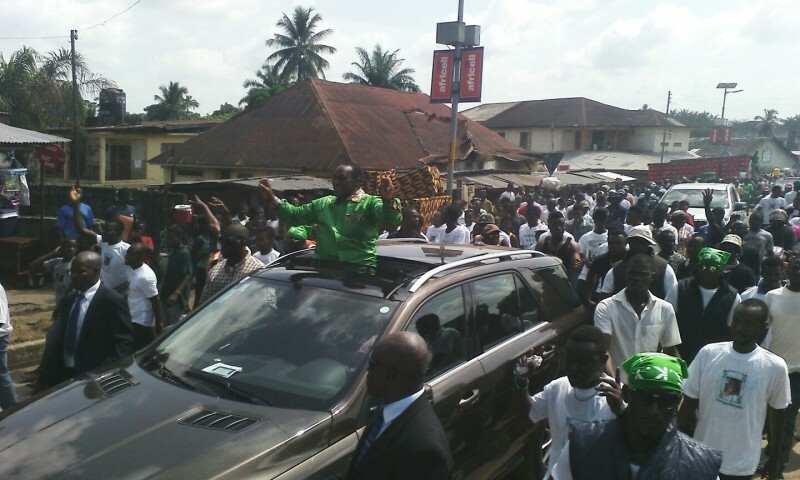 Kandeh Yumkella will end his visit to a city he calls his second home, tomorrow Sunday and will return to Freetown.